We are known as a caring and welcoming community, and our ability to care for young women is enhanced by our Chaplaincy support. The Principal and the College Board are committed to the total development of the young women who attend the College. In the development of the College Strategic Plan, approved by the Board, the support of students in spiritual and ethical values congruent with the values espoused by the College was placed at high priority. Mount Alvernia College has a two-day-a-week Campus Minister. 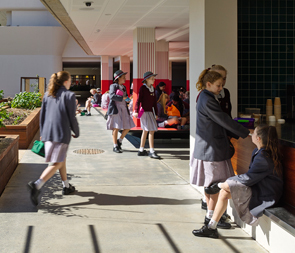 The Chaplaincy role is funded by the College and through the National School Chaplaincy Program, which is an Australian Government-funded initiative.